Ishwari is very happy that Suhana is coming home. She decorates the house to welcome Suhana. Suhana is the little guest. Ishwari, Mama and Mami make the house look beautiful. 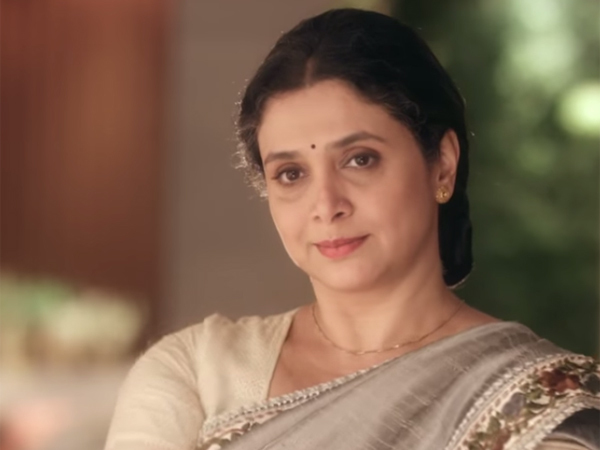 Ishwari does not want to rest and waits to see Suhana. Mama laughs saying Ishwari will get peace she hugs Suhana. He reminds Ishwari that Suhana came here before also. Ishwari says Suhana did not know its her Dadi’s house, now she would know its her house, so she should get a grand welcome. Dev gets Suhana home. Ishwari is very happy meeting Suhana. Golu and Suhana meet and have a talk. Golu thanks Dev for getting Suhana home and tells her that he was waiting for her since long. Ishwari does Suhana’s aarti and says I won’t need to come temple to meet you now. She welcomes Suhana. She pampers Suhana and shows her the things she made for her. Dev’s world has come home. Dev’s happiness lies in Suhana. Ishwari makes all the dishes Suhana likes. Ishwari sits to feed Suhana. 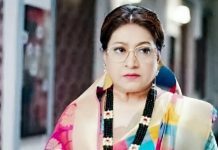 Suhana is annoyed with Ishwari and remarks Ishwari has made Sonakshi leave. She does not eat food by Ishwari’s hands. Ishwari thinks Sonakshi has taught this to Suhani. She talks to her brother. She says Sonakshi has fed her ideals in Suhana, but I will make Suhana an innocent kid again.